Cloud computing is no longer just a trend in IT -- it's becoming an integral part of the overal business strategy for many organizations. But choosing which approach to take can define your strategy for years to come. What are the benefits and shortfalls of an in-house private cloud? Is it worth it when the public cloud provides scalability and value? 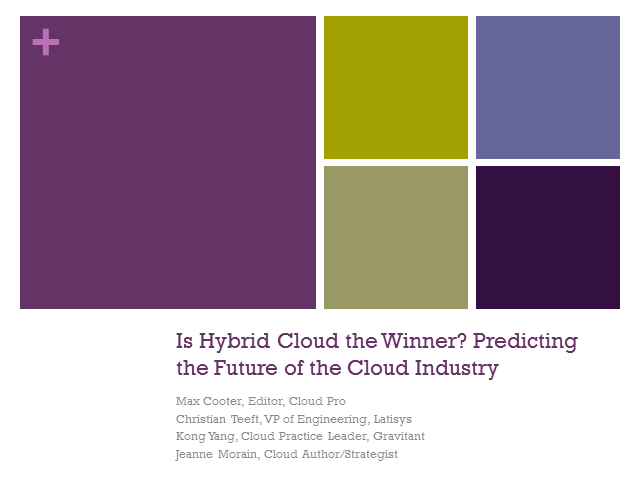 Or is the combination of both the outcome that will most likely be the future of the cloud? Join this panel of experts as they discuss if the hybrid cloud is the future of the cloud industry.